A plain white t-shirt. The familiar image calls to mind something nearly everyone can associate with. 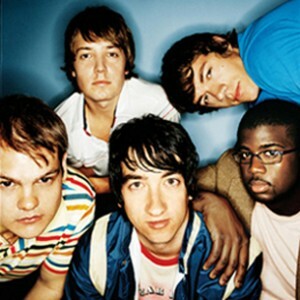 That was the idea behind the name for the Plain White T’s, a pop-punk band whose hit single ‘Hey There Delilah’ reached number one on Billboard’s Hot 100. This song is from Every Second Counts their first major-label album release (on Hollywood/Fearless Records), which came out in fall 2006. Higgenson has been writing songs since the seventh grade. ‘My parents weren’t really great musicians,’ he recalls. ‘My mom played a little bit of guitar and my dad played a little bit of drums, but there was always music in the house. Whether it was Michael Jackson or Pat Benatar or Great White, it was just random stuff. The band has played opening slots for Jimmy Eat World, AFI, and has performed on the Warped Tour three times. The PWT’s album release, Every Second Counts on Hollywood/Fearless Records, is actually their fourth album. They self-released their first album, Come On Over, in 2001. Their second and third albums (Stop in 2002 and All That We Needed in 2005) were released by the indie punk-rock label, Fearless Records. In addition to their musical success, the PWT’s have added acting to their repertoire. Higgenson, Tirio and fellow bandmates Tim Lopez, Mike Retondo and De’Mar Hamilton play themselves in both speaking and performing roles in several guest appearances for the new ABC Family series Greek, which spotlights college life and the social minefield that comes with it.